This week's Tasty Tuesday post falls right before Pi Day (3/14). There are plenty of ways to celebrate Pi Day, but my favorite is with pizza! 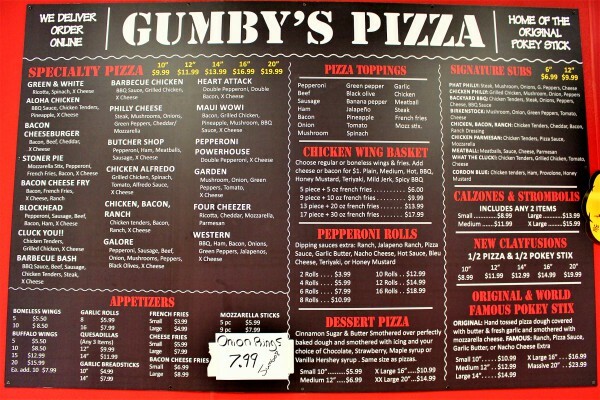 One of the best pizza locations on Hillsborough Street is Gumby's Pizza. 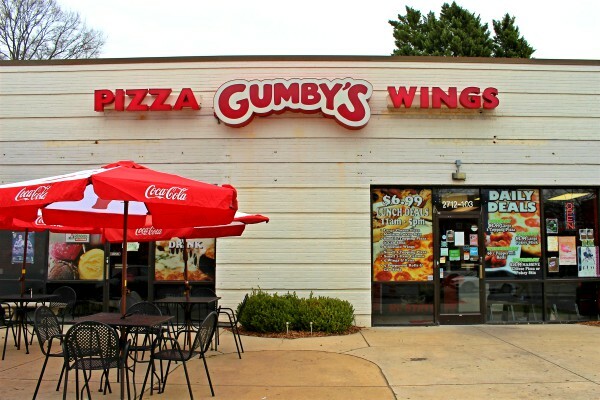 In addition to pizza, Gumby’s is known for their wings, subs, appetizers and Pokey Stix. At Gumby’s you can always expect a delicious made-to-order meal. Prior to my visit, my heart was set on ordering Pokey Stix, which are my guilty pleasure. I can’t resist that delicious combination of cheese and garlic flavor. When I arrived to take photos of the menu, something different caught my eye, though. I read the description of the Buffalo Chicken Specialty Pie and knew I had to give it a try. 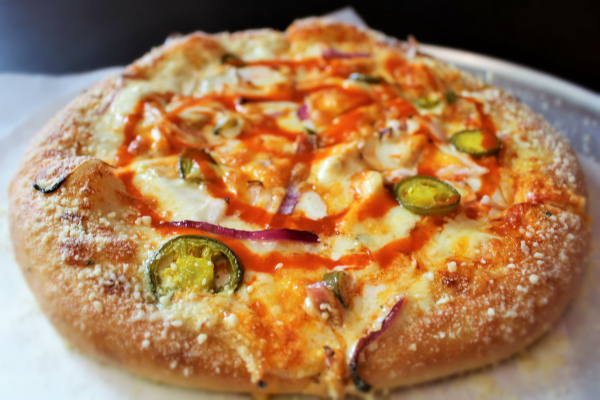 The Buffalo Chicken Specialty Pie has a ranch base and is topped with onion, jalapeno, and grilled buffalo chicken. It is smothered with mozzarella and cheddar cheeses then finished with a buffalo sauce drizzle. The cheese was perfectly gooey and the buffalo sauce swirl made the spicy flavor consistent with every bite. There was an extra pop of spicy flavor with each piece of jalapeno, too. One of my favorite parts of any piece of Gumby’s pizza is the crust. It’s always perfectly seasoned with garlic butter and parmesan cheese. I can confidently say that you can never go wrong when choosing a menu item at Gumby’s! 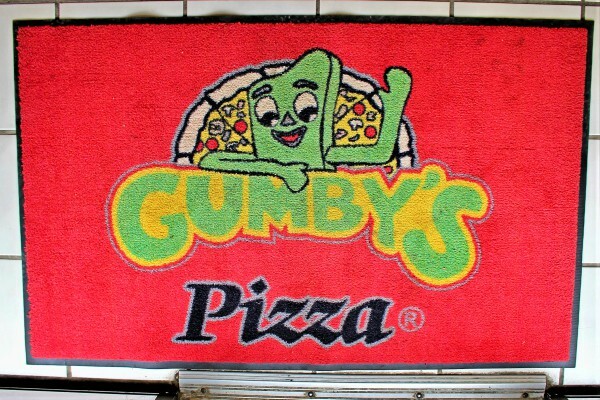 Gumby’s Pizza is entirely Gumby-themed. But, what exactly is Gumby? Gumby is a green character made from clay that was created in the 1950s by the stop-motion clay animation pioneer, Art Clokey. Gumby and his horse, Pokey, were first featured on The Howdy Doody Show before getting their own series, The Adventures of Gumby. Comedian Eddie Murphy later revived Gumby’s character in 1982 with a parody on Saturday Night Live. College students and other 90’s kids visiting Gumby’s Pizza may not be able to put their finger on why exactly they recognize the Gumby decorations, but that’s because reruns of The Adventures of Gumby aired on Nickelodeon and Cartoon Network regularly during the 1990s when they were very small children! Today, the classic series can be watched on YouTube. Guests are greeted by Gumby himself. It doesn't have to be Pi Day to enjoy some tasty pizza! Stop by Gumby's between 11 a.m.-3 a.m any day of the week to treat yourself.